Thought I'd hit the range this morn. 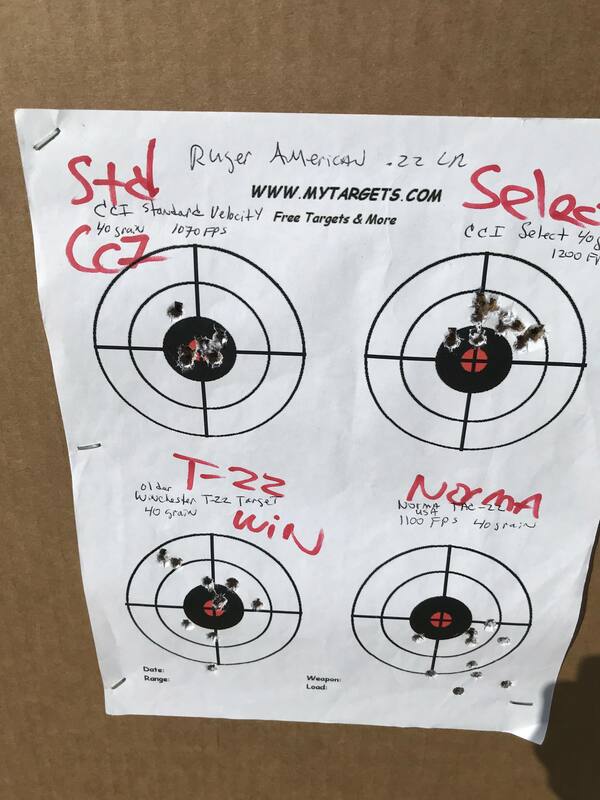 Tried 8 different varieties of .22 ammo through the Ruger American. I pre-marked each type above the bullseye. Different days, different results with some of it. CCI Standard seems to give me consistent good results. 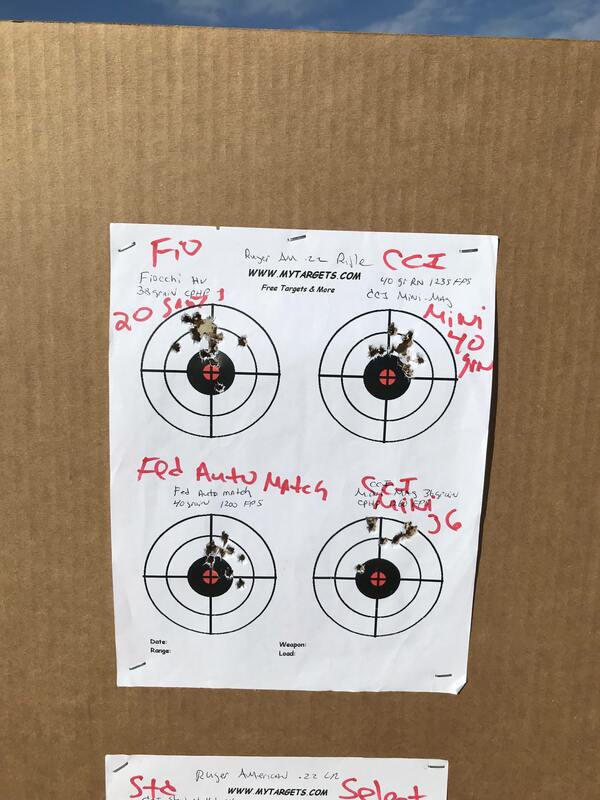 I had to remark the targets because I couldn't read what I wrote through the scope, hence why I fired 20 rds of Fiocchi waiting for the range to go cold. 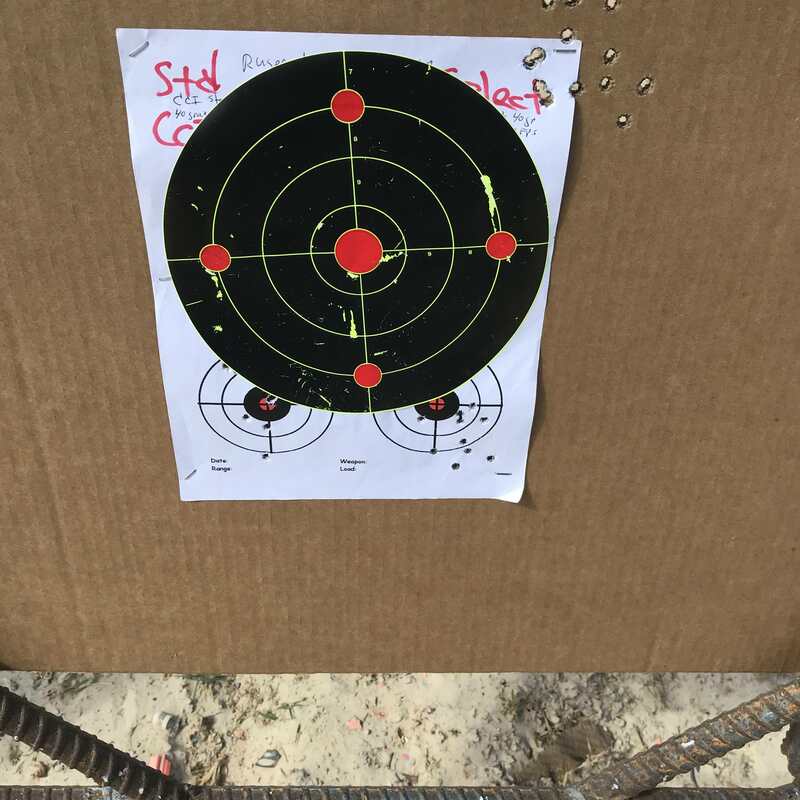 The rest were 10 shot groups. I was disappointed in the Winchester T-22. 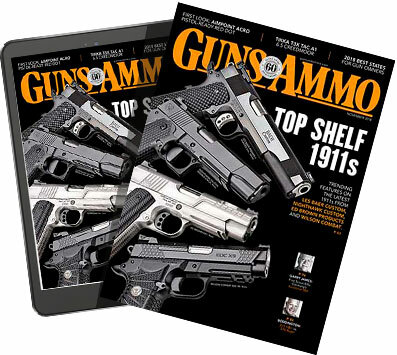 I bought it over 20 years ago and have better results with it in the past through all kinds of guns. Next Ruger MPR. 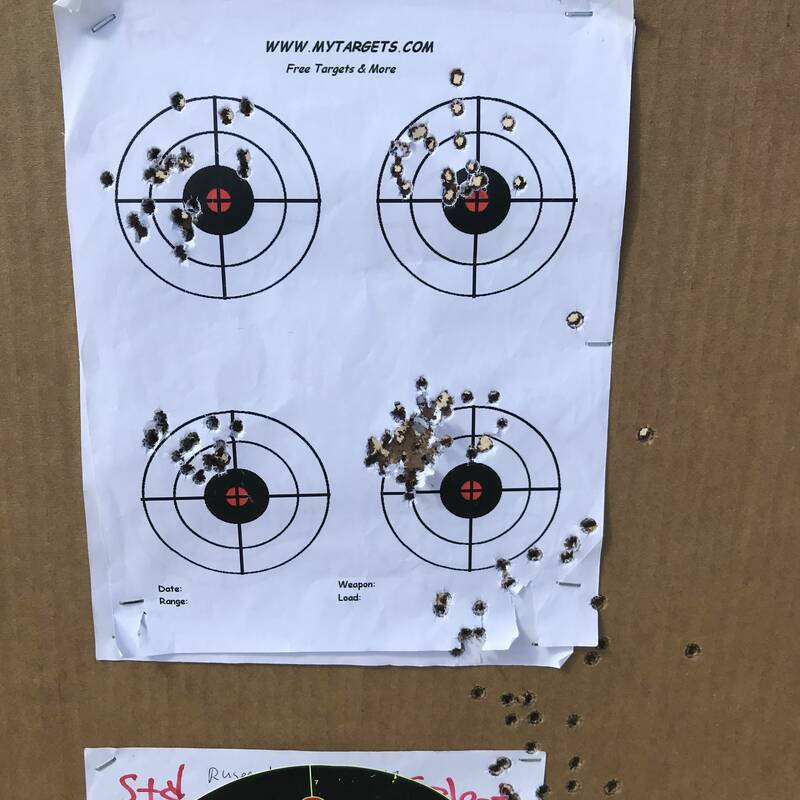 Tried some Independent/Federal AR .223/XM193 and some 55 grain reloads of mine. So so. Not a hitch firing and cycling on any of it. Then a couple mags through the Carbine. It was high and right off the bull. I had a loose rear sight that came unstaked and reset it. I couldn't tell where it was hittin and forgot my binos, but need to move the POI to the left and aim lower. 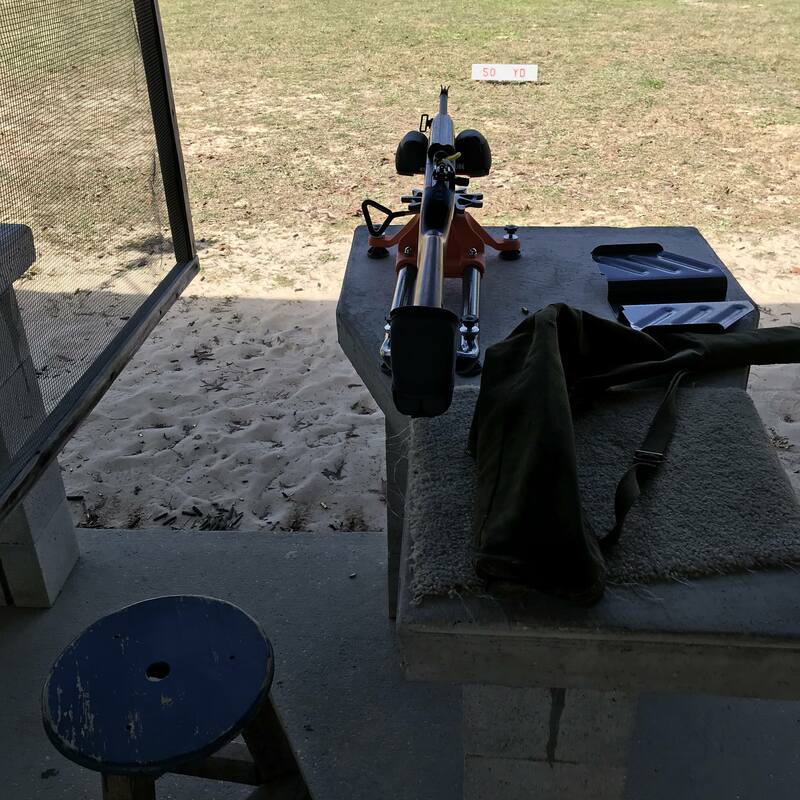 One issue is that new rifle rest because it dances around (all connected front to rear) after every shot because I don't have any weights on the tray, especially with centerfires. So I was constantly have move it and adjust after every shot. Anyhow, I had fun and that is what it is all about. If I used my brain now and again life might be easier on me. I discovered after I got home the rest had the 4 'Spikes' all covered with removable rubber feets that sure would have keep it from dancing so much on me after every shot. Well, I just finished cleaning them.......so all ready for the next time. Also had better results in the past firing NormaUSA Tac-22. Nice job! Weather looks a little nicer than here! 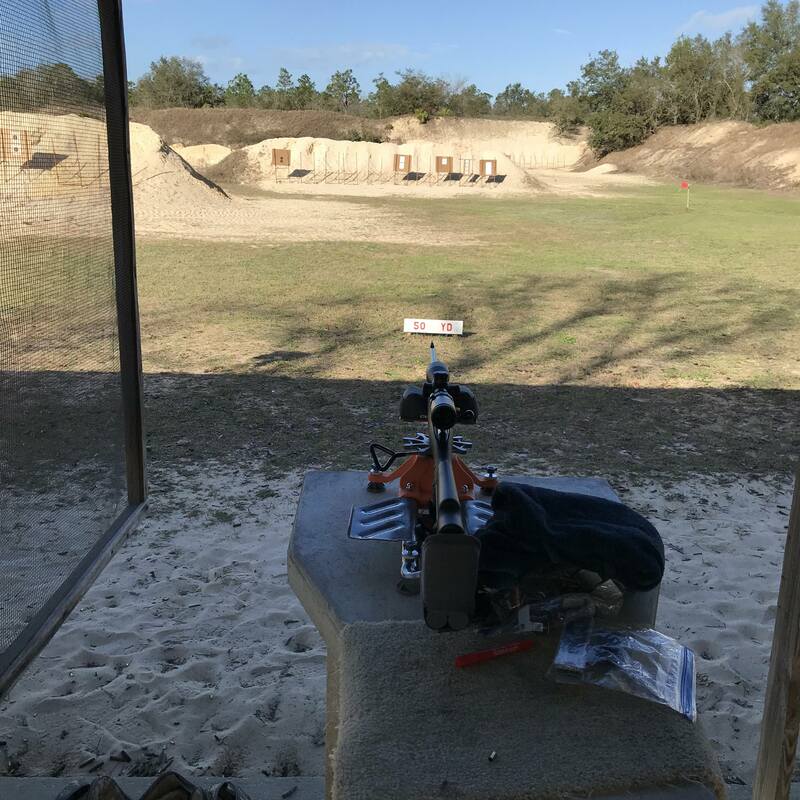 Seems the more I plan for a range trip, things never go as good as they do when I really wasn't expecting great results.